Digital Signage Expo’s four-part Digital Signage Fundamentals Seminar Program at DSE 2016 will include an hour-long session titled, “Creating a Digital Signage Network: Design, Management and Operation.” The seminar program is designed for End Users, AV Professionals, Systems Integrators, or anyone considering creating a digital communications network. Mark Geiger, Associate Director of Marketing and Business Development at the Georgia World Congress Center, will present a case study overview of what it took to develop and continue to grow and operate a digital signage network in a near 4-million-square-foot convention center. Visit http://www.digitalsignageconnection.com/ask-board-building-digital-signage-network to read more. 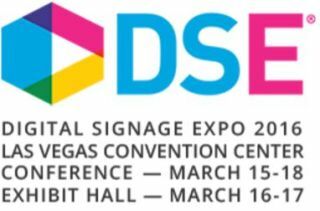 Registration for “Creating a Digital Signage Network: Design, Management and Operation” or any of the DSE 2016 educational conference seminars is available online at www.dse2016.com.